183 Commercial Real Estate and Properties in Melbourne Northern Suburbs are listed in 8 categories. We have 110 Offices for Sale & Lease , 51 Industrial Warehouses for Sale & Lease , 16 Retail Shops for Sale & Lease , 7 Development Lands for Sale & Lease , 2 Medical and Consulting Properties for Sale & Lease and 1 Other Commercial Properties for Sale & Lease . Ideal Location | Fitted And Furnished | Spacious Office $195pw | 1 Person Workspa..
PROPERTY OVERVIEW and gt; and gt; $195pw Price incl. Modern serviced offices for rent in Niddrie with free car parking, meeting rooms and business support services. Ideally located on the busy Keilor Road shopping strip, this serviced office boasts a fresh and clean working environment in an accessible and lively location. Each office is fitted with premium furniture, excellent lighting and high speed internet with access to shared meeting rooms, printing facilities, a kitchen and a front desk area with a friendly full time reception service. Highly trained staff will take your calls when you’re busy, handle your mail and do anything else you may require, while you will enjoy 24hr access for ultimate convenience. Welcoming startups, small businesses and teams from large companies, this office space provides a cost effective solution and flexibility to boot, allowing you to upsize or downsize at short notice. Unbranded, quiet, fresh and managed onsite at all times, this serviced office is ideal for all industries. Book a tour with our team to view or call Office Hub on +61281881311 for free impartial advice about your office needs. This contemporary serviced office is located on the first floor of the Telstra Business Centre, a modern two storey building on the prime Keilor Road retail strip in Nirrie. The number 59 tram service stops right outside the front door and next door is a council parking garage with three hours of free car parking. There is elevator access, air conditioning, male/female amenities and disabled facilities within the building while the location offers excellent visibility with high foot traffic and a well known location close to Essendon Fields Airport. This great location is in the heart of Nirrie close to gyms, banks, cafes and restaurants. The advertised office space is perfect for a team of 1. If you need more or less space, we have over 30,000 furnished workspaces all over the world suitable for a team of 1 to 200+. Our award winning team offer a free service that will help you find the perfect solution for your needs, so reach out if you need more help. What you get for your weekly rent , 24/7 Access , 24/7 Security , Access to internal breakout areas , Access to kitchen facilities , Access to secure printer and scanner , Building outgoings included , Electricity usage included , Fully equipped boardrooms, meeting rooms and day offices (fees may apply) Building features , Air conditioning , Car parking in building (Free) , Car parking Street (Free) , Direct access to public transport , Disabled access and facilities , Print, scan and copy facilities , Professional working environment 8.7km to Melbourne airport and freeway and amp; Citylink access nearby Located on the shopping strip near cafes and amp; restaurants 270m to Woollies supermarket, 87m to the post office and 21m to banks Tramline at the doorstep which will take you to the CBD Who is Office Hub? Office Hub is the world\'s No.1 marketplace for office space. We have a huge global selection of coworking spaces, serviced offices and shared office spaces with flexible options to suit teams from 1 200 people. We\'ll take you on a tour of all the workspaces that fit your needs and work on your behalf to get the best price possible. We\'ll help you discover how shared office space can be the most beneficial and budget friendly solution for your business. www.office hub.com Conditions apply – the advertised price includes any incentives offered based on a 12 month agreement and is available to new tenants only. Please note that the rental rate may increase for a shorter rental period. A portion of the square meterage factors in access to shared space. $350pw | 2 Person Workspa..
PROPERTY OVERVIEW and gt; and gt; $350pw Price incl. Elegant and trendy shared office space in Brunswick shared with a young professional services firm. Nestled on the iconic Sydney Road shopping strip, this newly renovated workspace oozes sophistication and professionalism – with state of the art finishes, you’re met with an instantly classy impression upon arrival. The stylish space is configured for workday practicality, with a welcoming reception area, a sophisticated boardroom and a number of individual private offices along the hallway. It’s these spacious offices that are available for rent, each fully furnished, internet enabled and suitable for two people. They come with shared access to printing facilities and a modern lunchroom equipped with all the mod cons. You’ll pay one simple bill for everything to do with the space and enjoy flexible terms within one of Brunsick’s most modern and professional office spaces, complete with a young and vibrant atmosphere to complement your working style. Book a tour today to visit this stunningly refurbished shared workspaces in Brunswick – flexi terms start from one month. This office space sits within a charming three storey red brick building on Australia’s longest and most diverse shopping strip, Sydney Road. The ground floor is a retail unit while offices occupy the two upper floors, with recent renovations transforming the classic building into a smart and impeccably professional working environment. Security is a priority with several measures put in place to ensure privacy while convenient transport links are found in the #19 tram stops right outside, Jewell Train Station and nearby bus stops. The building is shouldered by independent retailers, cafes and classic Victorian buildings to create a colourful professional location where a great coffee or an intriguing boutique is never far away. With Brunswick Baths, plenty of gyms and more good pubs than you can count on one hand, this diverse hipster neighbourhood is an attractive location for young, growing and innovative businesses. The advertised office space is perfect for a team of 2. If you need more or less space, we have over 30,000 furnished workspaces all over the world suitable for a team of 1 to 200+. Our award winning team offer a free service that will help you find the perfect solution for your needs, so reach out if you need more help. What you get for your weekly rent , 24/7 Access , Access to internal breakout areas , Access to kitchen facilities , Access to secure printer and scanner , A fully furnished office suite , Building outgoings included , Commercial grade internet , FREE use of the meeting rooms , One simple bill for everything related to your workspace , Plug and play furnished workspace , Private lockable office , Regular cleaning , Your own receptionist and waiting area for your clients Building features , Air conditioning , Company Branding at reception , New fit out , Print, scan and copy facilities , Professional working environment , Shared office space 48m to #19 tram stop on Sydney Road 850m to Jewell Railway Station 220m to Brunswick Baths 110m to Retreat Hotel 350m to Barkly Square Who is Office Hub? Office Hub is the world\'s No.1 marketplace for office space. We have a huge global selection of coworking spaces, serviced offices and shared office spaces with flexible options to suit teams from 1 200 people. We\'ll take you on a tour of all the workspaces that fit your needs and work on your behalf to get the best price possible. We\'ll help you discover how shared office space can be the most beneficial and budget friendly solution for your business. www.office hub.com Conditions apply – the advertised price includes any incentives offered based on a 12 month agreement and is available to new tenants only. Please note that the rental rate may increase for a shorter rental period. A portion of the square meterage factors in access to shared space. Sleek Interior | Trendy Location | Excellent Lighting $1296pw | 12 Person Works..
PROPERTY OVERVIEW $1296pw Price incl. Beautiful shared office space in Collingwood – this stunning workspace is home to an established architecture and design practice and they’re offering fully equipped desks for rent at great prices. In a super modern transformation of a historic warehouse, this studio style workspace feature extra high ceilings, abundant natural light, lots of plants and high quality fittings over two mezzanine floors. There is a huge kitchen with six hot plates, a coffee machine and a large fridge, plus a gorgeous private courtyard and BBQ for relaxation and sociable breaks. The Collingwood workspace comes fully furnished with quality desks and chairs, fast internet connection and access to printing facilities. Flexible options mean this workspace can meet a number of needs – hire a desk in the shared space, put a pod of desks together to suit your team or the resident architects can move upstairs and leave you with a fully fitted semi private office with 10 15 workstations on the ground floor. Peaceful and focused yet collaborative and creative, this chic workspace would suit individuals and small teams looking for a friendly, relaxed and flexible office space in an amazing Collingwood location. Creative and construction firms will benefit from aligned opportunities but everyone (and their pets) is welcome, so book a tour today – this impressive space needs to be seen to be appreciated. This is a two storey heritage building with a classic cottage y exterior and immaculately modernised interiors. Nestled away on a small lane just moments from Smith Street, it’s a peaceful sanctuary for creative work yet easily accessible by all forms of transport. The building is home to several offices and warehouses and this small coworking space has its own private sunny courtyard, fully equipped kitchen and bathrooms. Located just off Victoria Parade, this shared office space is easily accessible by the #12, #109 and #86 trams, many bus links and the Collingwood and North Richmond Railway Stations. It’s enviably close to the vibrant Smith Street to give your team plenty of great brunch spots, rooftop hangouts and delicious restaurants to try between meetings. The advertised office space is perfect for a team of 12. If you need more or less space, we have over 30,000 furnished workspaces all over the world suitable for a team of 1 to 200+. Our award winning team offer a free service that will help you find the perfect solution for your needs, so reach out if you need more help. What you get for your weekly rent , 24/7 Access , Access to indoor and outdoor breakout areas , Access to kitchen facilities , Access to secure printer and scanner , Building outgoings included , Collaborative space with a great community feel , Commercial grade internet (Free) , Dedicated desk with 24x7 Access , Electricity usage included , Flexible terms , FREE use of the meeting rooms , One simple bill for everything related to your workspace Building features , Abundance of natural light , Air conditioning , Boutique fit out , Car parking Street (Free) , Creative co working space , Dedicated men and ladies bathrooms , Direct access to public transport , BBQ area , Premium coffee facilities , Private offices and dedicated desks available , Friday after work drinks , Free fruit bowl , Communal lunches , Flexible desk arrangement to create team islands 500m to trendy bars and cafes on Smith Street 650m to Collingwood Train Station 350m to tram stop on Victoria Parade 650m to North Richmond Train Station 700m to beautiful Fitzroy Gardens Who is Office Hub? Office Hub is the world\'s No.1 marketplace for office space. We have a huge global selection of coworking spaces, serviced offices and shared office spaces with flexible options to suit teams from 1 200 people. We\'ll take you on a tour of all the workspaces that fit your needs and work on your behalf to get the best price possible. We\'ll help you discover how shared office space can be the most beneficial and budget friendly solution for your business. www.office hub.com Conditions apply – the advertised price includes any incentives offered based on a 12 month agreement and is available to new tenants only. Please note that the rental rate may increase for a shorter rental period. A portion of the square meterage factors in access to shared space. Stylish Décor | Vibrant Precinct | Great Amenities $1050pw | 6 Person Worksp..
PROPERTY OVERVIEW $1050pw Price incl. Elegant and trendy shared office space in Brunswick shared with a young professional services firm. Nestled on the iconic Sydney Road shopping strip, this newly renovated workspace oozes sophistication and professionalism – with state of the art finishes, you’re met with an instantly classy impression upon arrival. The stylish space is configured for workday practicality, with a welcoming reception area, a sophisticated boardroom and a number of individual private offices along the hallway. It’s these spacious offices that are available for rent, each fully furnished, internet enabled and suitable for two people. They come with shared access to printing facilities and a modern lunchroom equipped with all the mod cons. You’ll pay one simple bill for everything to do with the space and enjoy flexible terms within one of Brunsick’s most modern and professional office spaces, complete with a young and vibrant atmosphere to complement your working style. Book a tour today to visit this stunningly refurbished shared workspaces in Brunswick – flexi terms start from one month. This office space sits within a charming three storey red brick building on Australia’s longest and most diverse shopping strip, Sydney Road. The ground floor is a retail unit while offices occupy the two upper floors, with recent renovations transforming the classic building into a smart and impeccably professional working environment. Security is a priority with several measures put in place to ensure privacy while convenient transport links are found in the #19 tram stops right outside, Jewell Train Station and nearby bus stops. The building is shouldered by independent retailers, cafes and classic Victorian buildings to create a colourful professional location where a great coffee or an intriguing boutique is never far away. With Brunswick Baths, plenty of gyms and more good pubs than you can count on one hand, this diverse hipster neighbourhood is an attractive location for young, growing and innovative businesses. The advertised office space is perfect for a team of 6. If you need more or less space, we have over 30,000 furnished workspaces all over the world suitable for a team of 1 to 200+. Our award winning team offer a free service that will help you find the perfect solution for your needs, so reach out if you need more help. What you get for your weekly rent , 24/7 Access , Access to internal breakout areas , Access to kitchen facilities , Access to secure printer and scanner , A fully furnished office suite , Building outgoings included , Commercial grade internet , FREE use of the meeting rooms , One simple bill for everything related to your workspace , Plug and play furnished workspace , Private lockable office , Regular cleaning , Your own receptionist and waiting area for your clients Building features , Air conditioning , Company Branding at reception , New fit out , Print, scan and copy facilities , Professional working environment , Shared office space 48m to #19 tram stop on Sydney Road 850m to Jewell Railway Station 220m to Brunswick Baths 110m to Retreat Hotel 350m to Barkly Square Who is Office Hub? Office Hub is the world\'s No.1 marketplace for office space. We have a huge global selection of coworking spaces, serviced offices and shared office spaces with flexible options to suit teams from 1 200 people. We\'ll take you on a tour of all the workspaces that fit your needs and work on your behalf to get the best price possible. We\'ll help you discover how shared office space can be the most beneficial and budget friendly solution for your business. www.office hub.com Conditions apply – the advertised price includes any incentives offered based on a 12 month agreement and is available to new tenants only. Please note that the rental rate may increase for a shorter rental period. A portion of the square meterage factors in access to shared space. $405pw | 3 Person Workspa..
PROPERTY OVERVIEW $405pw Price incl. This creative Collingwood coworking space is brand new and open as of January 2019! This workspace comes from a popular creative workspace operator and is founded for people just like them: curious, hardworking and sociable entrepreneurs; up and coming teams looking to grow in a creative field; people who want to focus on building innovative products and services without worrying about rent, electricity or running out of coffee. Showcasing a beautiful yet welcoming style, the Collingwood coworking hub is an inspiring canvas for a day of work with white walls, metal trusses, huge skylights and a balanced mix of workspaces, meeting areas and social space. This furnished office space comes with everything you need to hit the ground running high speed broadband, printers, meeting rooms, onsite receptionists, kitchens, snacks no hidden costs! There’s a great crowd of co tenants that have each other’s back, interact often and provide a wonderful collaborative workspace – join the house and feel the business benefits of working with like minded people in a dedicated creative space. Memberships for 1 6 people on flexi terms available now. This building is a quaint warehouse conversion in a fantastic city fringe location in Collingwood. Tucked away on a cobbled street in the heart of Collingwood, it’s the ideal home for low key creatives – inconspicuous on the outside, industrial cool on the inside; close to transport, restaurants, bars and the city. The building’s renovations focused on bringing daylight in the space, incorporating the high ceilings and fitted skylights to make it incredibly light and airy. The building also features a sawtooth rooftop and secure bicycle storage facilities. The vibrant Smith Street with its cafes, restaurants, pubs and tram stops is only five minutes’ walk to the west and Collingwood Train Station is less than 10 minutes’ walk to the east. The advertised office space is perfect for a team of 3. If you need more or less space, we have over 30,000 furnished workspaces all over the world suitable for a team of 1 to 200+. Our award winning team offer a free service that will help you find the perfect solution for your needs, so reach out if you need more help. What you get for your weekly rent , 24/7 Access , 24/7 Security , Access to internal breakout areas , Access to kitchen facilities , Access to secure printer and scanner , Building outgoings included , Electricity usage included , Flexible terms , Regular cleaning , Secure high speed Internet , Your own receptionist and waiting area for your clients Building features , Abundance of natural light , Air conditioning , Bicycle storage , Car parking Street / Public Car Park (Paid) , Gym and fitness centre close by , Professional working environment , Taxi / Uber stand close to building 600m to Collingwood Train Station 250m to Anytime Fitness @ Wellington 270m to Cambridge Street Reserve Easy access to State Route 29 Who is Office Hub? Office Hub is the world\'s No.1 marketplace for office space. We have a huge global selection of coworking spaces, serviced offices and shared office spaces with flexible options to suit teams from 1 200 people. We\'ll take you on a tour of all the workspaces that fit your needs and work on your behalf to get the best price possible. We\'ll help you discover how shared office space can be the most beneficial and budget friendly solution for your business. www.office hub.com Conditions apply – the advertised price includes any incentives offered based on a 12 month agreement and is available to new tenants only. Please note that the rental rate may increase for a shorter rental period. A portion of the square meterage factors in access to shared space. $525pw | 6 Person Workspa..
PROPERTY OVERVIEW $525pw Price incl. Unique and elegant serviced office at Kew Junction, Melbourne. The great price of this excellently maintained private office space makes it suitable for all manner of professionals and businesses. Fully furnished and ready to use, you benefit from access to a meeting room and many services including phone answering, client greeting, parcel collection and IT support. We love the Parisian styling, grand reception entrance and opulent fit out – a stunning blend of style and functionality at an affordable price. The Kew Junction Tower is an instantly recognisable office building that is rapidly transforming into the business and tech hub of Kew. The commanding address offers convenience and exceptional amenities including restaurants, cafes, shops and gyms in the immediate vicinity – networking and entertaining clients is a doddle in this part of Inner East Melbourne. Multiple tram routes and buses nearby plus onsite parking remove the headache of the commute with the bright lights of Melbourne CBD just 6.5km away. The advertised office space is perfect for a team of 2. If you need more or less space, we have over 30,000 furnished workspaces all over the world suitable for a team of 1 to 200+. Our award winning team offer a free service that will help you find the perfect solution for your needs, so reach out if you need more help. What you get for your weekly rent , 24/7 Access , 24/7 Security , Access to kitchen facilities , A prestigious address to put on your business cards , Building outgoings included , Commercial grade internet (Free) , Electricity usage included , Plug and play furnished workspace , Your own receptionist and waiting area for your clients Building features , Abundance of natural light , Air conditioning , Car parking in building (Paid) , Company Branding at reception , Contemporary fit out , Direct access to public transport , Onsite Cafe / Restaurant , Professional environment Excellent transport links with 52m to Light Rail Station on High St (tram routes 48 & 109) 50m from Kew Junction Shopping Centre 6km to Melbourne CBD 110m to coffee shops, banks, bars and restaurants 400m from Woolworths Kew Who is Office Hub? Office Hub is the world\'s No.1 marketplace for office space. We have a huge global selection of coworking spaces, serviced offices and shared office spaces with flexible options to suit teams from 1 200 people. We\'ll take you on a tour of all the workspaces that fit your needs and work on your behalf to get the best price possible. We\'ll help you discover how shared office space can be the most beneficial and budget friendly solution for your business. www.office hub.com Conditions apply – the advertised price includes any incentives offered based on a 12 month agreement and is available to new tenants only. Please note that the rental rate may increase for a shorter rental period. A portion of the square meterage factors in access to shared space. Contemporary Office Space | Brightly Lit | Quality Furnishings $269pw | 3 Person Workspa..
PROPERTY OVERVIEW $269pw Price incl. Smart and modern office spaces for rent in Kew East. This stunning corporate office combines natural light and contemporary styling to fantastic effect, providing premium quality office spaces in a desirable location. There are coworking spaces and lockable offices accommodating 25 people in total, with smaller spaces available on flexible terms and both window and windowless options to cater to every budget. The advertised rate is all inclusive of rent, internet, 24/7 secured access, cleaning, utilities and outgoings, helping small businesses go further with fewer costs to think about. It’s all fully furnished too so you can move in tomorrow and get back to work in no time, more inspired than ever by the great views and natural light that floods every workspace. This office is bringing together a range of small businesses to create an amazing atmosphere where you’ll share facilities, good times and the challenges of business in one great office space. So if you’re looking for something more affordable, flexible, attractive and community focused, stop your search now because this Kew East office space ticks all the boxes. This prestigious office complex has a spectacular exterior in a prominent position on the High Street. With tinted glass, metal and a striking cylindrical entrance, your clients and partners will be utterly impressed with your new office space in Kew East. Stepping inside, you’ll find immaculate facilities including showers and bicycle storage and you can place your own branding in the foyer. This location is perfect for businesses that want to provide their employees with a balanced lifestyle – Kew East is loved for its friendly relaxed vibe and proximity to open spaces, great parks, cute cafes and family focused conveniences such as childcare, schools and kindergartens. Melbourne CBD is just 11km away and the #48 tram stops right outside so you can get home or head into the city with ease. The advertised office space is perfect for a team of 3. If you need more or less space, we have over 30,000 furnished workspaces all over the world suitable for a team of 1 to 200+. Our award winning team offer a free service that will help you find the perfect solution for your needs, so reach out if you need more help. What you get for your weekly rent , 24/7 Access , 24/7 Security , Access to internal breakout areas , Access to kitchen facilities , Building outgoings included , Electricity usage included , Flexible terms , One simple bill for everything related to your workspace , Plug and play furnished workspace , Regular cleaning , Secure high speed Internet Building features , Abundance of natural light , Air conditioning , Car parking in building (Paid) , Company branding in foyer , End of trip facilities e.g showers, bike racks , Gym and fitness centre close by , Taxi / Uber stand close to building 140m to Clyde Street/High Street Tram Stop 350m to Anytime Fitness 4 tram stops to Coles Balwyn North 1km to Stradbroke Park Who is Office Hub? Office Hub is the world\'s No.1 marketplace for office space. We have a huge global selection of coworking spaces, serviced offices and shared office spaces with flexible options to suit teams from 1 200 people. We\'ll take you on a tour of all the workspaces that fit your needs and work on your behalf to get the best price possible. We\'ll help you discover how shared office space can be the most beneficial and budget friendly solution for your business. www.office hub.com Conditions apply – the advertised price includes any incentives offered based on a 12 month agreement and is available to new tenants only. Please note that the rental rate may increase for a shorter rental period. A portion of the square meterage factors in access to shared space. Trendy Location | Ideal Working Environment | Brightly Lit $261pw | 3 Person Workspa..
PROPERTY OVERVIEW $261pw Price incl. Furnished cost effective serviced offices close to Melbourne University, hospitals and transport links. Prestigious, inner city and corporate, this Carlton workspace instills a sense of security among clients and a boost of motivation among members. The serviced offices come in a variety of sizes and they are beautifully equipped with not only premium desks and chairs, but also IP telephones, high speed internet, 4K LED smart TVs, 25” widescreen LED monitors. The shared facilities include meeting rooms, printers, a server room, kitchen, bathrooms and showers. The contemporary fit out is smart and stylish with extra care taken to ensure it delivers for modern professionals – sound proofed walls and premium glass partitions are perfect for those requiring confidentiality in phone calls and meetings, or simply those who prefer a good level of privacy at work. 24hr secure access is via pincode, there are complimentary refreshments and you’ll get your own PIN accessed mailbox. When first impressions are everything, this office space will never let you down. Flexible and well presented workspaces in a great city fringe location, available now at a fantastic price. Enquiries welcome to explore flexible options. This serviced office centre is located in a modern commercial building overlooking Carlton’s Argyle Square Gardens. The elegant building has a striking facade, behind which you’ll find three floors of corporate accommodation with bathroom and shower facilities. There is free car parking right at the front of the building and the workspace offers an excellent location for professional services, lawyers, researchers, advisors, brokers and more. Carlton is Melbourne’s most walkable suburb and is the home of the University of Melbourne, major hospitals and the Carlton Gardens. On the doorstep of Lygon Street, you’ll enjoy fine Italian cuisine, great coffee and fashion stores in Melbourne’s Little Italy while abundant bus and tram stops make the commute easy. The advertised office space is perfect for a team of 3. If you need more or less space, we have over 30,000 furnished workspaces all over the world suitable for a team of 1 to 200+. Our award winning team offer a free service that will help you find the perfect solution for your needs, so reach out if you need more help. What you get for your weekly rent , 24/7 Access , 24/7 Security , Access to internal breakout areas , Access to kitchen facilities , Access to secure printer and scanner , Building outgoings included , Electricity usage included , Flexible terms , FREE use of the meeting rooms , One simple bill for everything related to your workspace , Regular cleaning , Secure high speed Internet Building features , Abundance of natural light , Air conditioning , Bicycle storage , Boutique low rise buidling , Car parking Street (Free) , Creative space , End of trip facilities e.g showers, bike racks , Print, scan and copy facilities , Professional working environment , Taxi / Uber stand close to building 270m to tram stop at Lincoln Square 130m to Little Italy at Lygon Street 400m to Carlton Gardens 600m to University of Melbourne 850m to Central Station Who is Office Hub? Office Hub is the world\'s No.1 marketplace for office space. We have a huge global selection of coworking spaces, serviced offices and shared office spaces with flexible options to suit teams from 1 200 people. We\'ll take you on a tour of all the workspaces that fit your needs and work on your behalf to get the best price possible. We\'ll help you discover how shared office space can be the most beneficial and budget friendly solution for your business. www.office hub.com Conditions apply – the advertised price includes any incentives offered based on a 12 month agreement and is available to new tenants only. Please note that the rental rate may increase for a shorter rental period. A portion of the square meterage factors in access to shared space. Located in the popular Yellowbox commercial precinct, this outstanding warehouse/office space building perfect for your expanding business and sure to impress your customers! Comprising: bull; Total Area 428m2 bull; 355m2 Floor Space bull; 73m2 Office Space bull; Container Height Door bull; Large Hardstand Area bull; 4 Car Parks bull; No Body Corporate! bull; Modern Industrial Estate bull; Close to Hume Hwy and Ring Road bull; Available October 2018 Inquire Today! This excellent factory would suit a variety of uses and is located in prime Miller street, whether you're looking to run your business, secure storage or just need space to complete that project/hobbie, you can't better this fantastic warehouse with excellent access to Cooper Street, Epping Plaza and Freeways. Comprises: bull; Automatic Container height Roller Door. bull; Rest room and kitchenette. bull; 2 secure car spaces. bull; Ample off street car parking and on site. bull; Easy Access to Hume Freeway and Ring Road. bull; Security gates at the front of the complex to secure your property. bull; Installed Blinds in both mezzanine and office area. bull; Mezzanine area 65 sqm. bull; Office/showroom area 77sqm. bull; Warehouse area 39 sqm. bull; Zoning Industrial 1. Don't miss out call Con or Bella today for an inspection! Stunning Finishes | Contemporary Office Space | Premium Facilities $1105pw | 8 Person Worksp..
PROPERTY OVERVIEW $1105pw Price incl. Stunningly designed coworking space in Fitzroy that promotes wellness, collaboration and small business success. Fitted and furnished to the highest international standard, this creative business centre is filled with beautiful contrasting materials, green plants, natural light and an organic community of creatives, entrepreneurs and startups. Private serviced offices and coworking desks are spread across two floors and mixed with private phone booths, chillout areas and a communal kitchen. There’s even a custom built onsite gym with treadmills and bikes, a wellness space for yoga, a cafe and a meditation room. When it gets down to work, you can enjoy multiple meeting rooms, a boardroom, a training room and a large flexible event space – everything you need for your day to day, client events and special occasions is right here on site. The community feel is facilitated by quality events and experiences that support members’ inspiration, insight and connections with other bright and curious minds. The whole space just screams attention to detail, right down to the height adjustable electric desks, ergonomic Haworth task chairs and catering delivery service to desks and meeting rooms. With a range of high quality office spaces available on flexible terms, it’s easy to find a working rhythm that suits you ad supports your work life journey at this gorgeous Fitzroy coworking hub. This Smith Street warehouse building has been thoughtfully reimagined to reflect the needs of a new working generation. You enter to find a fabulous double height space and an invigorating and engaging layout with desks, offices and breakout spaces spread over two floors. The luxurious end of trip amenities include bike racks, showers and bathrooms fitted with ironing stations, hair straighteners and hairdryers. The 1930s era building is conveniently located at the northern end of Smith Street, just a short tram or bike ride from Melbourne CBD. Throughout the building is a refined, five star hotel feel complemented by the less congested, more creative feel of vibrant Fitzroy – Melbourne’s young entrepreneurs and creatives converge in this buzzing suburb where amenities and fabulous places to eat, shop and socialise are a dime a dozen. The advertised office space is perfect for a team of 8. If you need more or less space, we have over 30,000 furnished workspaces all over the world suitable for a team of 1 to 200+. Our award winning team offer a free service that will help you find the perfect solution for your needs, so reach out if you need more help. What you get for your weekly rent , 24/7 Access , 24/7 Security , Access to internal breakout areas , Access to kitchen facilities , Access to secure printer and scanner , Building outgoings included , Electricity usage included , Flexible terms , Free GYM for members, yoga and meditation classes every week , FREE use of the meeting rooms , Lockable storage unit , One simple bill for everything related to your workspace , Plug and play furnished workspace , Regular cleaning , Secure high speed Internet Building features , Abundance of natural light , Air conditioning , Bicycle storage , Car parking Street / Public Car Park (Paid) , Company branding in foyer , Creative space , Disabled access and facilities , New fit out , Onsite Cafe / Restaurant , Print, scan and copy facilities , Taxi / Uber stand close to building 110m to Smith Street tram stop (86) 88m to Pavlov's Duck cafe 230m to Robert Burns Hotel 500m to Fitzroy Swimming Pool 550m to Brunswick Street Who is Office Hub? Office Hub is the world\'s No.1 marketplace for office space. We have a huge global selection of coworking spaces, serviced offices and shared office spaces with flexible options to suit teams from 1 200 people. We\'ll take you on a tour of all the workspaces that fit your needs and work on your behalf to get the best price possible. We\'ll help you discover how shared office space can be the most beneficial and budget friendly solution for your business. www.office hub.com Conditions apply – the advertised price includes any incentives offered based on a 12 month agreement and is available to new tenants only. Please note that the rental rate may increase for a shorter rental period. A portion of the square meterage factors in access to shared space. Creative Working Environment | Modern Facilities | Trendy Location $675pw | 5 Person Workspa..
PROPERTY OVERVIEW $675pw Price incl. This creative Collingwood coworking space is brand new and open as of January 2019! This workspace comes from a popular creative workspace operator and is founded for people just like them: curious, hardworking and sociable entrepreneurs; up and coming teams looking to grow in a creative field; people who want to focus on building innovative products and services without worrying about rent, electricity or running out of coffee. Showcasing a beautiful yet welcoming style, the Collingwood coworking hub is an inspiring canvas for a day of work with white walls, metal trusses, huge skylights and a balanced mix of workspaces, meeting areas and social space. This furnished office space comes with everything you need to hit the ground running high speed broadband, printers, meeting rooms, onsite receptionists, kitchens, snacks no hidden costs! There’s a great crowd of co tenants that have each other’s back, interact often and provide a wonderful collaborative workspace – join the house and feel the business benefits of working with like minded people in a dedicated creative space. Memberships for 1 6 people on flexi terms available now. This building is a quaint warehouse conversion in a fantastic city fringe location in Collingwood. Tucked away on a cobbled street in the heart of Collingwood, it’s the ideal home for low key creatives – inconspicuous on the outside, industrial cool on the inside; close to transport, restaurants, bars and the city. The building’s renovations focused on bringing daylight in the space, incorporating the high ceilings and fitted skylights to make it incredibly light and airy. The building also features a sawtooth rooftop and secure bicycle storage facilities. The vibrant Smith Street with its cafes, restaurants, pubs and tram stops is only five minutes’ walk to the west and Collingwood Train Station is less than 10 minutes’ walk to the east. The advertised office space is perfect for a team of 5. If you need more or less space, we have over 30,000 furnished workspaces all over the world suitable for a team of 1 to 200+. Our award winning team offer a free service that will help you find the perfect solution for your needs, so reach out if you need more help. What you get for your weekly rent , 24/7 Access , 24/7 Security , Access to internal breakout areas , Access to kitchen facilities , Access to secure printer and scanner , Building outgoings included , Electricity usage included , Flexible terms , Regular cleaning , Secure high speed Internet , Your own receptionist and waiting area for your clients Building features , Abundance of natural light , Air conditioning , Bicycle storage , Car parking Street / Public Car Park (Paid) , Gym and fitness centre close by , Professional working environment , Taxi / Uber stand close to building 600m to Collingwood Train Station 250m to Anytime Fitness @ Wellington 270m to Cambridge Street Reserve Easy access to State Route 29 Who is Office Hub? Office Hub is the world\'s No.1 marketplace for office space. We have a huge global selection of coworking spaces, serviced offices and shared office spaces with flexible options to suit teams from 1 200 people. We\'ll take you on a tour of all the workspaces that fit your needs and work on your behalf to get the best price possible. We\'ll help you discover how shared office space can be the most beneficial and budget friendly solution for your business. www.office hub.com Conditions apply – the advertised price includes any incentives offered based on a 12 month agreement and is available to new tenants only. Please note that the rental rate may increase for a shorter rental period. A portion of the square meterage factors in access to shared space. Boutique Retail Opportunity In Heart Of Kew Junction $27,000 per annum plus GS..
Modern Facilities | Close To Public Transport | Ideal Location $395pw | 3 Person Workspa..
PROPERTY OVERVIEW $395pw Price incl. Modern serviced offices for rent in Niddrie with free car parking, meeting rooms and business support services. Ideally located on the busy Keilor Road shopping strip, this serviced office boasts a fresh and clean working environment in an accessible and lively location. Each office is fitted with premium furniture, excellent lighting and high speed internet with access to shared meeting rooms, printing facilities, a kitchen and a front desk area with a friendly full time reception service. Highly trained staff will take your calls when you’re busy, handle your mail and do anything else you may require, while you will enjoy 24hr access for ultimate convenience. Welcoming startups, small businesses and teams from large companies, this office space provides a cost effective solution and flexibility to boot, allowing you to upsize or downsize at short notice. Unbranded, quiet, fresh and managed onsite at all times, this serviced office is ideal for all industries. Book a tour with our team to view or call Office Hub on +61281881311 for free impartial advice about your office needs. 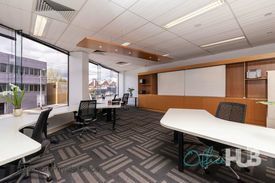 This contemporary serviced office is located on the first floor of the Telstra Business Centre, a modern two storey building on the prime Keilor Road retail strip in Nirrie. The number 59 tram service stops right outside the front door and next door is a council parking garage with three hours of free car parking. 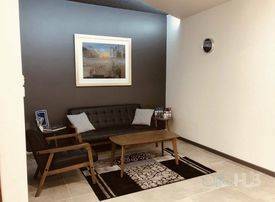 There is elevator access, air conditioning, male/female amenities and disabled facilities within the building while the location offers excellent visibility with high foot traffic and a well known location close to Essendon Fields Airport. This great location is in the heart of Nirrie close to gyms, banks, cafes and restaurants. The advertised office space is perfect for a team of 3. If you need more or less space, we have over 30,000 furnished workspaces all over the world suitable for a team of 1 to 200+. Our award winning team offer a free service that will help you find the perfect solution for your needs, so reach out if you need more help. What you get for your weekly rent , 24/7 Access , 24/7 Security , Access to internal breakout areas , Access to kitchen facilities , Access to secure printer and scanner , Building outgoings included , Electricity usage included , Fully equipped boardrooms, meeting rooms and day offices (fees may apply) Building features , Air conditioning , Car parking in building (Free) , Car parking Street (Free) , Direct access to public transport , Disabled access and facilities , Print, scan and copy facilities , Professional working environment 8.7km to Melbourne airport and freeway & Citylink access nearby Located on the shopping strip near cafes & restaurants 270m to Woollies supermarket, 87m to the post office and 21m to banks Tramline at the doorstep which will take you to the CBD Who is Office Hub? Office Hub is the world\'s No.1 marketplace for office space. We have a huge global selection of coworking spaces, serviced offices and shared office spaces with flexible options to suit teams from 1 200 people. We\'ll take you on a tour of all the workspaces that fit your needs and work on your behalf to get the best price possible. We\'ll help you discover how shared office space can be the most beneficial and budget friendly solution for your business. www.office hub.com Conditions apply – the advertised price includes any incentives offered based on a 12 month agreement and is available to new tenants only. Please note that the rental rate may increase for a shorter rental period. A portion of the square meterage factors in access to shared space. Imagine yourself in this, 710 square metres (approximately) of fully fitted corporate offices/showroom/warehouse in a sought after Epping location. Features; 320 square metres (approximately) office space 300 square metres (approximately) mezzanine 90 square metres (approximately) warehouse/dispatch Fully fitted offices and work stations Air conditioned Full kitchen facilities Training/Conference Room On Site Car parking The property is ideally located within walking distance to all amenities and with convenient access to Western Ring Road and Hume Hwy. Call Con on 0415 115 557 to make a time to view. Economical Workspace | Brightly Lit | Modern Commercial Building $360pw | 4 Person Workspa..
PROPERTY OVERVIEW $360pw Price incl. Furnished cost effective serviced offices close to Melbourne University, hospitals and transport links. Prestigious, inner city and corporate, this Carlton workspace instills a sense of security among clients and a boost of motivation among members. The serviced offices come in a variety of sizes and they are beautifully equipped with not only premium desks and chairs, but also IP telephones, high speed internet, 4K LED smart TVs, 25” widescreen LED monitors. The shared facilities include meeting rooms, printers, a server room, kitchen, bathrooms and showers. The contemporary fit out is smart and stylish with extra care taken to ensure it delivers for modern professionals – sound proofed walls and premium glass partitions are perfect for those requiring confidentiality in phone calls and meetings, or simply those who prefer a good level of privacy at work. 24hr secure access is via pincode, there are complimentary refreshments and you’ll get your own PIN accessed mailbox. When first impressions are everything, this office space will never let you down. Flexible and well presented workspaces in a great city fringe location, available now at a fantastic price. Enquiries welcome to explore flexible options. This serviced office centre is located in a modern commercial building overlooking Carlton’s Argyle Square Gardens. The elegant building has a striking facade, behind which you’ll find three floors of corporate accommodation with bathroom and shower facilities. There is free car parking right at the front of the building and the workspace offers an excellent location for professional services, lawyers, researchers, advisors, brokers and more. Carlton is Melbourne’s most walkable suburb and is the home of the University of Melbourne, major hospitals and the Carlton Gardens. On the doorstep of Lygon Street, you’ll enjoy fine Italian cuisine, great coffee and fashion stores in Melbourne’s Little Italy while abundant bus and tram stops make the commute easy. The advertised office space is perfect for a team of 4. If you need more or less space, we have over 30,000 furnished workspaces all over the world suitable for a team of 1 to 200+. Our award winning team offer a free service that will help you find the perfect solution for your needs, so reach out if you need more help. What you get for your weekly rent , 24/7 Access , 24/7 Security , Access to internal breakout areas , Access to kitchen facilities , Access to secure printer and scanner , Building outgoings included , Electricity usage included , Flexible terms , FREE use of the meeting rooms , One simple bill for everything related to your workspace , Regular cleaning , Secure high speed Internet Building features , Abundance of natural light , Air conditioning , Bicycle storage , Boutique low rise buidling , Car parking Street (Free) , Creative space , End of trip facilities e.g showers, bike racks , Print, scan and copy facilities , Professional working environment , Taxi / Uber stand close to building 270m to tram stop at Lincoln Square 130m to Little Italy at Lygon Street 400m to Carlton Gardens 600m to University of Melbourne 850m to Central Station Who is Office Hub? Office Hub is the world\'s No.1 marketplace for office space. We have a huge global selection of coworking spaces, serviced offices and shared office spaces with flexible options to suit teams from 1 200 people. We\'ll take you on a tour of all the workspaces that fit your needs and work on your behalf to get the best price possible. We\'ll help you discover how shared office space can be the most beneficial and budget friendly solution for your business. www.office hub.com Conditions apply – the advertised price includes any incentives offered based on a 12 month agreement and is available to new tenants only. Please note that the rental rate may increase for a shorter rental period. A portion of the square meterage factors in access to shared space. $420pw | 4 Person Workspa..
PROPERTY OVERVIEW $420pw Price incl. Beautiful and boutique coworking hub in Fitzroy crafted for creative professionals. This real stunner of a workplace features concrete floors, high ceilings, natural light and clean neutral colours resulting in an intimate and tasteful workplace aligned to the creative industries. There is a selection of private offices and a wide range of dedicated coworking desks – all lovely quiet spaces where you can think and make amazing work. This rental rate covers your dedicated office space plus all events, workshops, meeting rooms and amenities so you can take your business further without worrying about the expenses adding up. This independent provider has two Fitzroy centres so you can mix things up if you need a particular event space or just want a change of scenery. With no hot deskers and a smaller capacity than most, you’ll feel centred, supported and totally at home within a close community of friendly creatives. Flexible rental terms for 1 8 people starting from one month – book a tour now! This renovated warehouse on Brunswick Street has a legacy as an old textile house, imparting a sense of history and inherent creativity. It's beautifully renovated to the highest standards and the coworking centre occupies the entire building so members can feel real ownership and affinity with the space. Brunswick Street is full of lively bars, great pubs, cheap eats and small retail stores and this office places you in the beating heart of it all – you'll feel miles away from the corporate world and empowered to live more flexibly as you enjoy a great work life balance. Even better, the number 11 tram runs right outside the door to take you home or into Melbourne CBD when you’ve finished work for the day. The advertised office space is perfect for a team of 4. If you need more or less space, we have over 30,000 furnished workspaces all over the world suitable for a team of 1 to 200+. Our award winning team offer a free service that will help you find the perfect solution for your needs, so reach out if you need more help. What you get for your weekly rent , 24/7 Access , 24/7 Security , Access to internal breakout areas , Access to kitchen facilities , Access to secure printer and scanner , Building outgoings included , Electricity usage included , Lockable storage unit , One simple bill for everything related to your workspace , Regular cleaning , Secure high speed Internet Building features , Abundance of natural light , Air conditioning , Bicycle storage , Car parking in building (Paid) , Contemporary fit out , Creative space , Disabled access and facilities , Print, scan and copy facilities , Retail and shopping malls nearby , Taxi / Uber stand close to building Positioned in the heart of Fitzroy's cultural, dining and nightlife scene 21m to Leicester Street/Brunswick Street tram stops (Route 11) 1km to the sister coworking space from this provider 120m to Fitzroy IGA 2.2km to Melbourne CBD WHO IS OFFICE HUB? Office Hub has largest collection of shared office space, sublet office space, creative coworking office space and serviced offices, perfect for 1 200 employees. Let us take you on a tour of all the spaces that fit your needs and budget. Our service is complimentary and we work for you and the landlord to negotiate the most competitive deal in the market. Let us show you how shared and serviced offices can be the perfect solution for your business. www.office hub.com.au www.office hub.co.nz Conditions apply A portion of the square meterage factors in access to shared space. The advertised price includes any incentives offered based on a 12 month agreement. If a shorter period is agreed to please note the price may increase accordingly. This promotional offer for new tenants only and may be withdrawn at any time due to space availability. Impressive Location | Modern Building | Economical Workspace $414pw | 5 Person Workspa..
PROPERTY OVERVIEW $414pw Price incl. 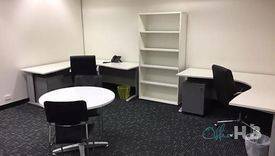 Furnished cost effective serviced offices close to Melbourne University, hospitals and transport links. Prestigious, inner city and corporate, this Carlton workspace instills a sense of security among clients and a boost of motivation among members. The serviced offices come in a variety of sizes and they are beautifully equipped with not only premium desks and chairs, but also IP telephones, high speed internet, 4K LED smart TVs, 25” widescreen LED monitors. The shared facilities include meeting rooms, printers, a server room, kitchen, bathrooms and showers. The contemporary fit out is smart and stylish with extra care taken to ensure it delivers for modern professionals – sound proofed walls and premium glass partitions are perfect for those requiring confidentiality in phone calls and meetings, or simply those who prefer a good level of privacy at work. 24hr secure access is via pincode, there are complimentary refreshments and you’ll get your own PIN accessed mailbox. When first impressions are everything, this office space will never let you down. Flexible and well presented workspaces in a great city fringe location, available now at a fantastic price. Enquiries welcome to explore flexible options. This serviced office centre is located in a modern commercial building overlooking Carlton’s Argyle Square Gardens. The elegant building has a striking facade, behind which you’ll find three floors of corporate accommodation with bathroom and shower facilities. There is free car parking right at the front of the building and the workspace offers an excellent location for professional services, lawyers, researchers, advisors, brokers and more. Carlton is Melbourne’s most walkable suburb and is the home of the University of Melbourne, major hospitals and the Carlton Gardens. On the doorstep of Lygon Street, you’ll enjoy fine Italian cuisine, great coffee and fashion stores in Melbourne’s Little Italy while abundant bus and tram stops make the commute easy. The advertised office space is perfect for a team of 5. If you need more or less space, we have over 30,000 furnished workspaces all over the world suitable for a team of 1 to 200+. Our award winning team offer a free service that will help you find the perfect solution for your needs, so reach out if you need more help. What you get for your weekly rent , 24/7 Access , 24/7 Security , Access to internal breakout areas , Access to kitchen facilities , Access to secure printer and scanner , Building outgoings included , Electricity usage included , Flexible terms , FREE use of the meeting rooms , One simple bill for everything related to your workspace , Regular cleaning , Secure high speed Internet Building features , Abundance of natural light , Air conditioning , Bicycle storage , Boutique low rise buidling , Car parking Street (Free) , Creative space , End of trip facilities e.g showers, bike racks , Print, scan and copy facilities , Professional working environment , Taxi / Uber stand close to building 270m to tram stop at Lincoln Square 130m to Little Italy at Lygon Street 400m to Carlton Gardens 600m to University of Melbourne 850m to Central Station Who is Office Hub? Office Hub is the world\'s No.1 marketplace for office space. We have a huge global selection of coworking spaces, serviced offices and shared office spaces with flexible options to suit teams from 1 200 people. We\'ll take you on a tour of all the workspaces that fit your needs and work on your behalf to get the best price possible. We\'ll help you discover how shared office space can be the most beneficial and budget friendly solution for your business. www.office hub.com Conditions apply – the advertised price includes any incentives offered based on a 12 month agreement and is available to new tenants only. Please note that the rental rate may increase for a shorter rental period. A portion of the square meterage factors in access to shared space. 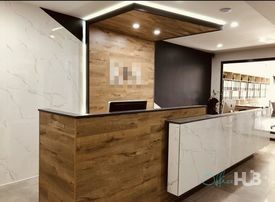 Contemporary Office Space | Enjoyable Working Environment | Dedicated Receptionist $113pw | 1 Person Workspa..
PROPERTY OVERVIEW $113pw Price incl. Beautiful contemporary serviced office in Heidelberg. Price incl. Internet, Rent, Electricity, Building outgoings & All utility bills Flexi terms Modern fit out Regular cleaning 24/7 access Dedicated receptionist Great location Modern building Avail NOW for short or long term rent Located 14 kilometres north from the Melbourne CBD this space is conveniently situated across from Heidelberg Park, walking distance from Austin& Mercy Hospitals and close to Heidelberg Law Courts. This centre provides the ideal setting to showcase your business, it's the perfect solution for any organisation wanting to set yourself apart from competitors. The advertised office space is perfect for a team of 1. If you need more or less space, we have over 30,000 furnished workspaces all over the world suitable for a team of 1 to 200+. Our award winning team offer a free service that will help you find the perfect solution for your needs, so reach out if you need more help. What you get for your weekly rent Furnished office with desks, chairs and lock up storage units Complimentary receptionist to meet and greet your clients Unlimited commercial grade internet service Electricity usage included Regular cleaning Telephone number & handset Prestigious business address to put on your cards Flexible terms from 1 month 2 years Ability to bring your existing phone number over 24 x 7 access to your office 24 x 7 security Building features Modern building High speed lifts Car parking in building and surrounding areas Dedicated on site management team Office features Modern facilities throughout Full mail management and postage Meeting and boardrooms available Signage board in foyer to highlight your business name Quality finishes and amenities throughout Server / Comms rooms available for server storage Photocopying facilities Just 1 km away from the train station 500m away from bus services Walking distance from Warringal Shopping Centre WHO IS OFFICE HUB? Office Hub is Australia & New Zealands No 1 small office space commercial real estate agency. We have the largest collection of shared spaces, coworking and serviced offices in Australia & New Zealand, perfect for 1 200 employees. Let us take you on a tour of all the spaces that fit your needs and budget. Our service is complimentary and we work for you and the landlord to negotiate the most competitive deal in the market. Let us show you how shared and serviced offices can be the perfect solution for your business. www.office hub.com.au www.office hub.co.nz Conditions apply A portion of the square meterage factors in access to shared space. Price includes any incentives offered. This is for new tenants only. Cutting Edge Office Space | Impressive Location | Enjoyable Working Environment $552pw | 4 Person Workspa..
PROPERTY OVERVIEW $552pw Price incl. This creative Collingwood coworking space is brand new and open as of January 2019! This workspace comes from a popular creative workspace operator and is founded for people just like them: curious, hardworking and sociable entrepreneurs; up and coming teams looking to grow in a creative field; people who want to focus on building innovative products and services without worrying about rent, electricity or running out of coffee. Showcasing a beautiful yet welcoming style, the Collingwood coworking hub is an inspiring canvas for a day of work with white walls, metal trusses, huge skylights and a balanced mix of workspaces, meeting areas and social space. This furnished office space comes with everything you need to hit the ground running high speed broadband, printers, meeting rooms, onsite receptionists, kitchens, snacks no hidden costs! There’s a great crowd of co tenants that have each other’s back, interact often and provide a wonderful collaborative workspace – join the house and feel the business benefits of working with like minded people in a dedicated creative space. Memberships for 1 6 people on flexi terms available now. This building is a quaint warehouse conversion in a fantastic city fringe location in Collingwood. Tucked away on a cobbled street in the heart of Collingwood, it’s the ideal home for low key creatives – inconspicuous on the outside, industrial cool on the inside; close to transport, restaurants, bars and the city. The building’s renovations focused on bringing daylight in the space, incorporating the high ceilings and fitted skylights to make it incredibly light and airy. The building also features a sawtooth rooftop and secure bicycle storage facilities. The vibrant Smith Street with its cafes, restaurants, pubs and tram stops is only five minutes’ walk to the west and Collingwood Train Station is less than 10 minutes’ walk to the east. The advertised office space is perfect for a team of 4. If you need more or less space, we have over 30,000 furnished workspaces all over the world suitable for a team of 1 to 200+. Our award winning team offer a free service that will help you find the perfect solution for your needs, so reach out if you need more help. What you get for your weekly rent , 24/7 Access , 24/7 Security , Access to internal breakout areas , Access to kitchen facilities , Access to secure printer and scanner , Building outgoings included , Electricity usage included , Flexible terms , Regular cleaning , Secure high speed Internet , Your own receptionist and waiting area for your clients Building features , Abundance of natural light , Air conditioning , Bicycle storage , Car parking Street / Public Car Park (Paid) , Gym and fitness centre close by , Professional working environment , Taxi / Uber stand close to building 600m to Collingwood Train Station 250m to Anytime Fitness @ Wellington 270m to Cambridge Street Reserve Easy access to State Route 29 Who is Office Hub? Office Hub is the world\'s No.1 marketplace for office space. We have a huge global selection of coworking spaces, serviced offices and shared office spaces with flexible options to suit teams from 1 200 people. We\'ll take you on a tour of all the workspaces that fit your needs and work on your behalf to get the best price possible. We\'ll help you discover how shared office space can be the most beneficial and budget friendly solution for your business. www.office hub.com Conditions apply – the advertised price includes any incentives offered based on a 12 month agreement and is available to new tenants only. Please note that the rental rate may increase for a shorter rental period. A portion of the square meterage factors in access to shared space. 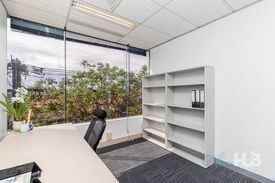 Premium Grade Office Space | Enviable Location | Stylish Décor $3529pw | 32 Person Works..
PROPERTY OVERVIEW $3529pw Price incl. Stunningly designed coworking space in Fitzroy that promotes wellness, collaboration and small business success. Fitted and furnished to the highest international standard, this creative business centre is filled with beautiful contrasting materials, green plants, natural light and an organic community of creatives, entrepreneurs and startups. Private serviced offices and coworking desks are spread across two floors and mixed with private phone booths, chillout areas and a communal kitchen. There’s even a custom built onsite gym with treadmills and bikes, a wellness space for yoga, a cafe and a meditation room. When it gets down to work, you can enjoy multiple meeting rooms, a boardroom, a training room and a large flexible event space – everything you need for your day to day, client events and special occasions is right here on site. The community feel is facilitated by quality events and experiences that support members’ inspiration, insight and connections with other bright and curious minds. The whole space just screams attention to detail, right down to the height adjustable electric desks, ergonomic Haworth task chairs and catering delivery service to desks and meeting rooms. With a range of high quality office spaces available on flexible terms, it’s easy to find a working rhythm that suits you ad supports your work life journey at this gorgeous Fitzroy coworking hub. This Smith Street warehouse building has been thoughtfully reimagined to reflect the needs of a new working generation. You enter to find a fabulous double height space and an invigorating and engaging layout with desks, offices and breakout spaces spread over two floors. The luxurious end of trip amenities include bike racks, showers and bathrooms fitted with ironing stations, hair straighteners and hairdryers. The 1930s era building is conveniently located at the northern end of Smith Street, just a short tram or bike ride from Melbourne CBD. Throughout the building is a refined, five star hotel feel complemented by the less congested, more creative feel of vibrant Fitzroy – Melbourne’s young entrepreneurs and creatives converge in this buzzing suburb where amenities and fabulous places to eat, shop and socialise are a dime a dozen. The advertised office space is perfect for a team of 32. If you need more or less space, we have over 30,000 furnished workspaces all over the world suitable for a team of 1 to 200+. Our award winning team offer a free service that will help you find the perfect solution for your needs, so reach out if you need more help. What you get for your weekly rent , 24/7 Access , 24/7 Security , Access to internal breakout areas , Access to kitchen facilities , Access to secure printer and scanner , Building outgoings included , Electricity usage included , Flexible terms , Free GYM for members, yoga and meditation classes every week , FREE use of the meeting rooms , Lockable storage unit , One simple bill for everything related to your workspace , Plug and play furnished workspace , Regular cleaning , Secure high speed Internet Building features , Abundance of natural light , Air conditioning , Bicycle storage , Car parking Street / Public Car Park (Paid) , Company branding in foyer , Creative space , Disabled access and facilities , New fit out , Onsite Cafe / Restaurant , Print, scan and copy facilities , Taxi / Uber stand close to building 110m to Smith Street tram stop (86) 88m to Pavlov's Duck cafe 230m to Robert Burns Hotel 500m to Fitzroy Swimming Pool 550m to Brunswick Street Who is Office Hub? Office Hub is the world\'s No.1 marketplace for office space. We have a huge global selection of coworking spaces, serviced offices and shared office spaces with flexible options to suit teams from 1 200 people. We\'ll take you on a tour of all the workspaces that fit your needs and work on your behalf to get the best price possible. We\'ll help you discover how shared office space can be the most beneficial and budget friendly solution for your business. www.office hub.com Conditions apply – the advertised price includes any incentives offered based on a 12 month agreement and is available to new tenants only. Please note that the rental rate may increase for a shorter rental period. A portion of the square meterage factors in access to shared space. Brightly Lit | Stylish Décor | Contemporary Office Space $675pw | 8 Person Workspa..
PROPERTY OVERVIEW $675pw Price incl. Furnished cost effective serviced offices close to Melbourne University, hospitals and transport links. Prestigious, inner city and corporate, this Carlton workspace instills a sense of security among clients and a boost of motivation among members. The serviced offices come in a variety of sizes and they are beautifully equipped with not only premium desks and chairs, but also IP telephones, high speed internet, 4K LED smart TVs, 25” widescreen LED monitors. The shared facilities include meeting rooms, printers, a server room, kitchen, bathrooms and showers. The contemporary fit out is smart and stylish with extra care taken to ensure it delivers for modern professionals – sound proofed walls and premium glass partitions are perfect for those requiring confidentiality in phone calls and meetings, or simply those who prefer a good level of privacy at work. 24hr secure access is via pincode, there are complimentary refreshments and you’ll get your own PIN accessed mailbox. When first impressions are everything, this office space will never let you down. Flexible and well presented workspaces in a great city fringe location, available now at a fantastic price. Enquiries welcome to explore flexible options. This serviced office centre is located in a modern commercial building overlooking Carlton’s Argyle Square Gardens. The elegant building has a striking facade, behind which you’ll find three floors of corporate accommodation with bathroom and shower facilities. There is free car parking right at the front of the building and the workspace offers an excellent location for professional services, lawyers, researchers, advisors, brokers and more. Carlton is Melbourne’s most walkable suburb and is the home of the University of Melbourne, major hospitals and the Carlton Gardens. On the doorstep of Lygon Street, you’ll enjoy fine Italian cuisine, great coffee and fashion stores in Melbourne’s Little Italy while abundant bus and tram stops make the commute easy. The advertised office space is perfect for a team of 8. If you need more or less space, we have over 30,000 furnished workspaces all over the world suitable for a team of 1 to 200+. Our award winning team offer a free service that will help you find the perfect solution for your needs, so reach out if you need more help. What you get for your weekly rent , 24/7 Access , 24/7 Security , Access to internal breakout areas , Access to kitchen facilities , Access to secure printer and scanner , Building outgoings included , Electricity usage included , Flexible terms , FREE use of the meeting rooms , One simple bill for everything related to your workspace , Regular cleaning , Secure high speed Internet Building features , Abundance of natural light , Air conditioning , Bicycle storage , Boutique low rise buidling , Car parking Street (Free) , Creative space , End of trip facilities e.g showers, bike racks , Print, scan and copy facilities , Professional working environment , Taxi / Uber stand close to building 270m to tram stop at Lincoln Square 130m to Little Italy at Lygon Street 400m to Carlton Gardens 600m to University of Melbourne 850m to Central Station Who is Office Hub? Office Hub is the world\'s No.1 marketplace for office space. We have a huge global selection of coworking spaces, serviced offices and shared office spaces with flexible options to suit teams from 1 200 people. We\'ll take you on a tour of all the workspaces that fit your needs and work on your behalf to get the best price possible. We\'ll help you discover how shared office space can be the most beneficial and budget friendly solution for your business. www.office hub.com Conditions apply – the advertised price includes any incentives offered based on a 12 month agreement and is available to new tenants only. Please note that the rental rate may increase for a shorter rental period. A portion of the square meterage factors in access to shared space. 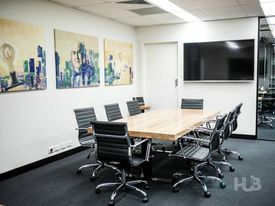 Collaborative Space | Modern Facilities | Excellent Lighting $359pw | 4 Person Workspa..
PROPERTY OVERVIEW $359pw Price incl. Smart and modern office spaces for rent in Kew East. This stunning corporate office combines natural light and contemporary styling to fantastic effect, providing premium quality office spaces in a desirable location. There are coworking spaces and lockable offices accommodating 25 people in total, with smaller spaces available on flexible terms and both window and windowless options to cater to every budget. The advertised rate is all inclusive of rent, internet, 24/7 secured access, cleaning, utilities and outgoings, helping small businesses go further with fewer costs to think about. It’s all fully furnished too so you can move in tomorrow and get back to work in no time, more inspired than ever by the great views and natural light that floods every workspace. This office is bringing together a range of small businesses to create an amazing atmosphere where you’ll share facilities, good times and the challenges of business in one great office space. So if you’re looking for something more affordable, flexible, attractive and community focused, stop your search now because this Kew East office space ticks all the boxes. This prestigious office complex has a spectacular exterior in a prominent position on the High Street. With tinted glass, metal and a striking cylindrical entrance, your clients and partners will be utterly impressed with your new office space in Kew East. Stepping inside, you’ll find immaculate facilities including showers and bicycle storage and you can place your own branding in the foyer. This location is perfect for businesses that want to provide their employees with a balanced lifestyle – Kew East is loved for its friendly relaxed vibe and proximity to open spaces, great parks, cute cafes and family focused conveniences such as childcare, schools and kindergartens. Melbourne CBD is just 11km away and the #48 tram stops right outside so you can get home or head into the city with ease. The advertised office space is perfect for a team of 4. If you need more or less space, we have over 30,000 furnished workspaces all over the world suitable for a team of 1 to 200+. Our award winning team offer a free service that will help you find the perfect solution for your needs, so reach out if you need more help. What you get for your weekly rent , 24/7 Access , 24/7 Security , Access to internal breakout areas , Access to kitchen facilities , Building outgoings included , Electricity usage included , Flexible terms , One simple bill for everything related to your workspace , Plug and play furnished workspace , Regular cleaning , Secure high speed Internet Building features , Abundance of natural light , Air conditioning , Car parking in building (Paid) , Company branding in foyer , End of trip facilities e.g showers, bike racks , Gym and fitness centre close by , Taxi / Uber stand close to building 140m to Clyde Street/High Street Tram Stop 350m to Anytime Fitness 4 tram stops to Coles Balwyn North 1km to Stradbroke Park Who is Office Hub? Office Hub is the world\'s No.1 marketplace for office space. We have a huge global selection of coworking spaces, serviced offices and shared office spaces with flexible options to suit teams from 1 200 people. We\'ll take you on a tour of all the workspaces that fit your needs and work on your behalf to get the best price possible. We\'ll help you discover how shared office space can be the most beneficial and budget friendly solution for your business. www.office hub.com Conditions apply – the advertised price includes any incentives offered based on a 12 month agreement and is available to new tenants only. Please note that the rental rate may increase for a shorter rental period. A portion of the square meterage factors in access to shared space. Vibrant Precinct | Great Amenities | Creative Working Environment $598pw | 5 Person Workspa..
PROPERTY OVERVIEW $598pw Price incl. #WorkDifferent at this Collingwood coworking space, home to Melbourne’s most dreambitious ecosystem of creatives, innovators and entrepreneurs. Feel the positive impacts of an engaged and diverse group of people and be inspired by one of the most cutting edge coworking designs in Melbourne right now – think raw materials, bright patterns and communal spaces, all shaped to encourage new ideas and creative thinking. Showcasing a forward thinking architectural concept that anticipates the needs of the future, this space features world class facilities and amenities including a photography studio, an adaptable events hall, meeting rooms, a relaxing meditation room, a bar with free snacks and tap beer, an onsite gym and hotel capsule pods (coming soon! ), not to mention foosball and classic arcade games in the games room. 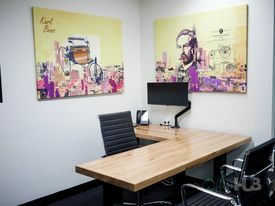 Besides all the extra special features, getting back to business is easier in this Collingwood coworking centre – the onsite team aims to provide thoughtful service and amenities so you can achieve more, and that includes ergonomic furniture, 24/7 secure access, optic fibre internet and multifunctional printers. This ambitious community attracts and nurtures thriving startups and entrepreneurs – if it sounds like your kind of thing, book a tour today and be wowed by the facilities and energy on offer. Flexible terms from one month for both coworking desks and private offices available now! This next generation coworking centre occupies a large renovated warehouse close to Collingwood Station and just a 10 minute walk to the vibrant Smith Street. Housing awesome workplace facilities plus building extras like bicycle storage and showers, everything you need all day long is located right here in the building. It also has a pet friendly policy and bike sharing initiative – nothing brings people together like doggos and shared resources. The provider’s dedication to enhanced work life balance extends to the very location of the building. Immersed in the creative Collingwood culture, you’re close to unique cafes, interesting shops and lively bars in prime position alongside Melbourne’s most innovative young businesses. The advertised office space is perfect for a team of 5. If you need more or less space, we have over 30,000 furnished workspaces all over the world suitable for a team of 1 to 200+. Our award winning team offer a free service that will help you find the perfect solution for your needs, so reach out if you need more help. What you get for your weekly rent , 24/7 Access , 24/7 Security , Access to internal breakout areas , Access to kitchen facilities , Access to secure printer and scanner , A prestigious address to put on your business cards , Building outgoings included , Electricity usage included , Flexible terms , FREE use of the meeting rooms , One simple bill for everything related to your workspace , Plug and play furnished workspace , Regular cleaning , Secure high speed Internet Building features , Abundance of natural light , Air conditioning , Boutique low rise buidling , Car parking Street (Free) , Company Branding in Foyer and Reception , Creative co working space , End of trip facilities e.g showers, bike racks , Pet friendly office space , Print, scan and copy facilities , Taxi / Uber stand close to building 400m to Collingwood Train Station 500m to Woolworths & Aldi 2.6km to Melbourne CBD 400m to North Richmond Train Station Who is Office Hub? Office Hub is the world\'s No.1 marketplace for office space. We have a huge global selection of coworking spaces, serviced offices and shared office spaces with flexible options to suit teams from 1 200 people. We\'ll take you on a tour of all the workspaces that fit your needs and work on your behalf to get the best price possible. We\'ll help you discover how shared office space can be the most beneficial and budget friendly solution for your business. www.office hub.com Conditions apply – the advertised price includes any incentives offered based on a 12 month agreement and is available to new tenants only. Please note that the rental rate may increase for a shorter rental period. A portion of the square meterage factors in access to shared space.